Sentiment analysis evaluates input text to assign a sentiment score ranging from 0 (negative) to 1 (positive). This capability is useful in detecting sentiment and enables custom business process based on the sentiment. Crow Canyon uses Microsoft Azure Text Analytics API for this and you can find more information here. This capability can be enabled in Crow Canyon Help Desk Application. When a Ticket is created, application will process the text in Ticket “Description” (or “Title” if there is no description) and determine the text sentiment score (0 to 1). Also, application assigns a configurable text value based on this score for easy identification and configurations. This data can then be used in application for various purposes like decide the priority of the Ticket, configure separate SLAs for Tickets having negative sentiment and send escalation notification if sentiment is excessively negative etc. It can also be used to configure reports to see sentiment for various types of Tickets, trend for assigned staff and time range etc. 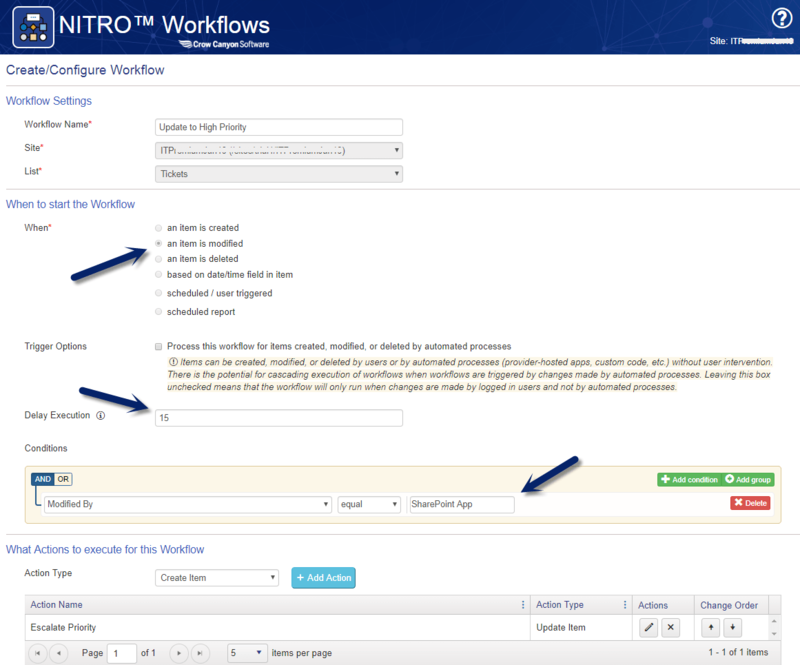 Create a new tab in the form with name “Advanced” and add the newly created “SentimentAnalysis” column to this tab in the NITRO Form. We can rename this column to “Sentiment Analysis” as needed. 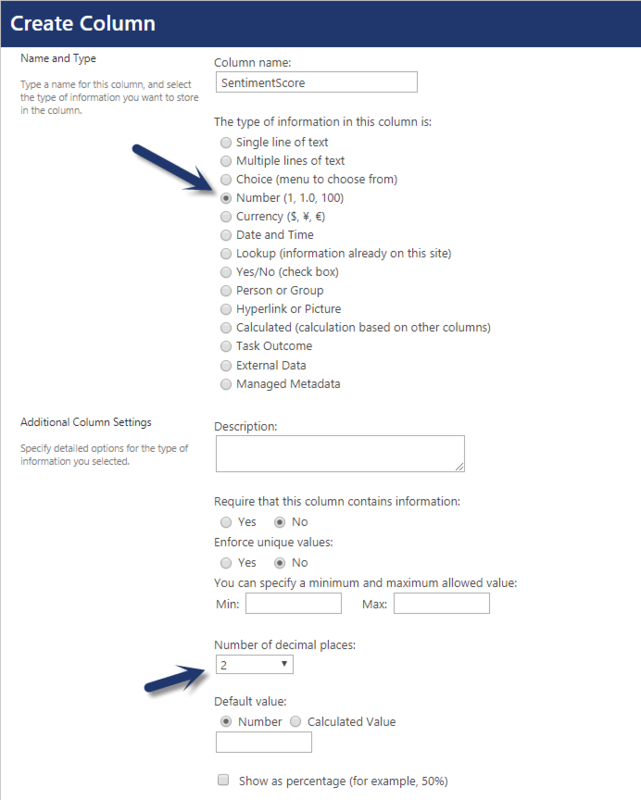 Please make sure this column is also added to edit and display forms. Note: Ensure that there is no space between Sentiment and Analysis during the column creation (SentimentAnalysis). After column is created, we can rename this column as needed. (ii) APIKey: This is a subscription key that needs to be used while calling Cognitive Service. 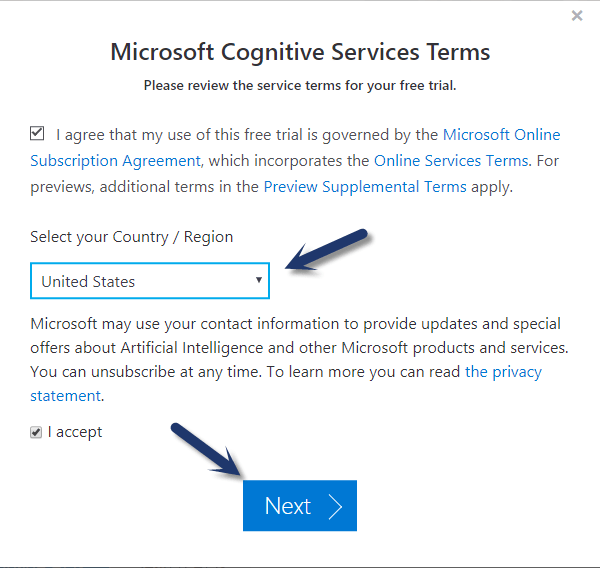 For more details on this, please refer “How to create a Cognitive Services subscription” section at the end of this article. (iii) URL: Region specific URL prefix of Text Analytics service e.g. “westcentralus” or “southcentralus”. 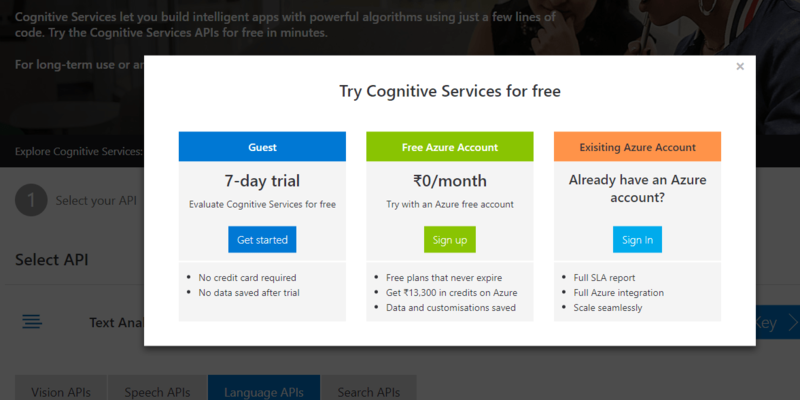 Please refer “How to create a Cognitive Services subscription” section at the end of this article. 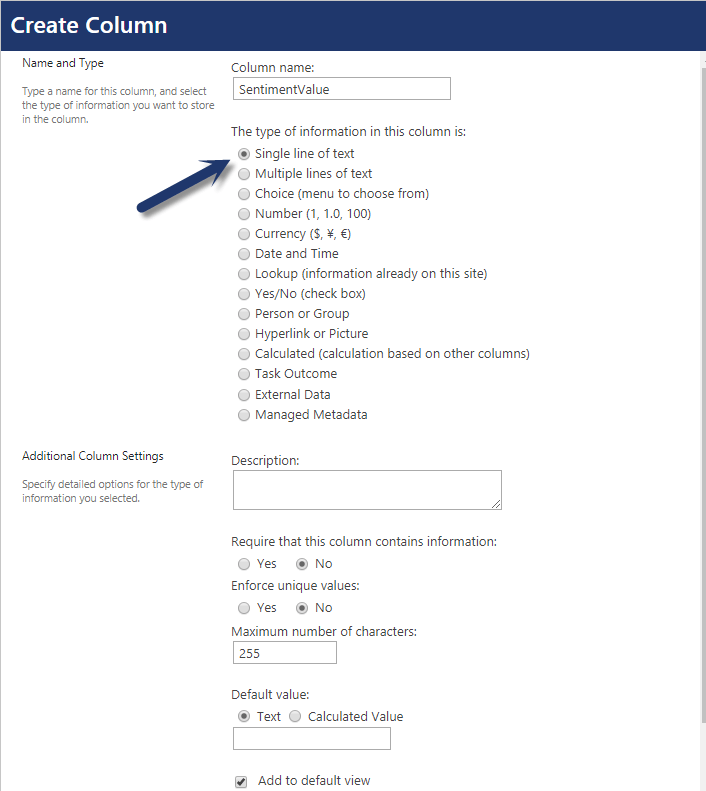 (iv) ScoreNumberColumn: This parameter is the internal name of the column that is used in the Tickets list. This column value range is between 0 – 1. API generates a decimal value between 0 and 1 based on the text sentiment and this result will be stored in this column on the ticket. (v) ScoreTextColumn: This parameter is the internal name of the column that is used in the Tickets list. This is a single line of text or choice column and will be filled by the Product app on ticket creation. It is a mapping from the numeric sentiment score value to a text value for easy reference in configurations and reports. Add it to the required position in the Ticket forms as needed. Value in this column will be set to the score that is obtained by the sentiment analysis functionality in the application. If you have a Microsoft Azure subscription, you can create a new “Text Analytics” service. Since our Product app updates the sentiment score and text value on the ticket, these columns can be used in our NITRO Workflows app to automatically set the priority to the required value in the tickets. 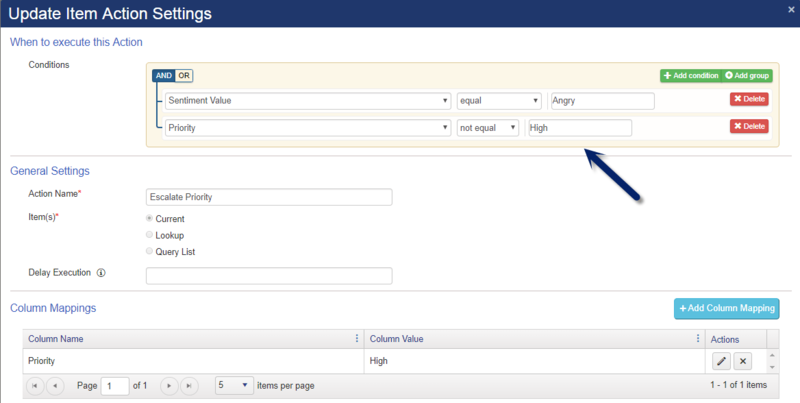 The above workflow will auto set priority to “High” if the sentiment value is “Angry” for the ticket. Similarly, we can configure other update item actions to automate the Priority setting based on Sentiment Value as needed.